Jonas Brothers in Montreal or Quebec City? Inform me about the next events for Jonas Brothers. Enroll yourself to our priority waiting list for Jonas Brothers to be alerted when new tickets are available. Filling this form doesn't engage you to any purchase. The Jonas Brothers were set to perforrm in Montreal on October 16th, 2013, but their tour was cancelled. 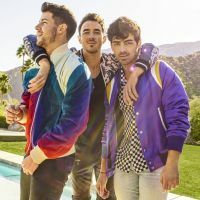 The Jonas Brothers have been widely popular these past few years with their first four albums: "It's About Time" (2006), "Jonas Brothers" (2007), "A Little Bit Longer" (2008) as well as "Lines, Vines and Trying Times" (2009).